A uPVC frame is a non-conductive material that stops the transfer of energy through windows and doors. The frames have specific thermal chambers that have been engineered to maximise the performance of the frame. 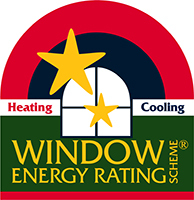 The extremely tight seals that the Deceuninck frames provide is said to improve thermal resistance by 94%, making them the best double glazed windows in Sydney. The air pocket created between the two glass panes provides an insulating barrier, keeping the outside heat out and regulating your interior temperature. If you currently have single glazed windows, up to 70% of heat is gained or lost with the panes of glass − and even more if they’re aluminium.